How can investors and consumers tell whether companies are doing the right thing by the environment or "greenwashing" their images to make it seem like they're doing the right thing? 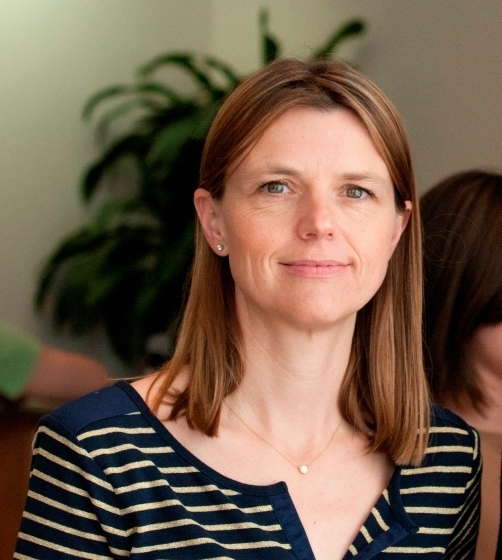 Magali Delmas, a professor of management at the UCLA Institute of the Environment and UCLA Anderson School of Management, is director of the UCLA Center for Corporate Environmental Performance. Ashley Verhines, an undergraduate research assistant at the institute, interviewed Delmas about her research on corporate responsibility and the environment. With more than 50 different ratings for corporate social and environmental responsibility, how is an investor or a consumer supposed to keep track of which companies are doing good, and which are not? While more information can yield more richness and is necessary for investors to make informed decisions, the proliferation of rating schemes can create confusion for investors who need to figure out which metrics are important and which ratings are credible. Different ratings utilize different criteria, different methodologies, different weighting schemes, and perhaps most importantly, data from different sources. Unfortunately, there is often little transparency regarding the metrics used to evaluate corporate social and environmental performance and the trade-offs involved in the evaluation. To help investors figure this out, we decided to open the "black box" of sustainability ratings. We drew data from multiple rating agencies to assess how much redundancy or complementary data we could find in the dimensions of socially responsible investing that they measured. Rather than examining a specific rating scheme in isolation, we thought it would be interesting to see what could be learned from ratings data drawn from multiple sources. Many of these ratings are reporting on processes (what companies are doing to comply with regulations) rather than outcomes (what they are actually accomplishing or not). Why is that a problem? The fact that there are, indeed, two distinct dimensions of CSR implies that processes and outcomes are much less linked than we would expect. Firms can perform both well and poorly on these two dimensions. Companies may excel at reporting, governance and the utilization of environmental management systems, yet they may still emit substantial amounts of pollution. Or, more cynically, they may put in place such processes "just for show" rather than actively pursuing meaningful outcomes. Moreover, process measures can be easily communicated by companies (for example, reporting that "all our facilities are ISO 14000 certified"), and so are perhaps more easily fed into rating schemes. This information is what is made available for investors to base their decisions upon. Unfortunately, it is outcomes, with their tangible and material impacts on people and the planet that ultimately matter. How important is doing well by the environment for successful business strategy? The conventional answer to this question is that any investment in the natural environment comes as an additional cost to firms and detracts from profit maximization. An emerging body of research, however, has challenged this long-standing assumption. Proponents of a "win-win" theory, including socially responsible investors, claim that improving environmental performance produces latent profit opportunities. For example, by switching to more environmentally friendly production processes, firms gain access to new markets for green products and can differentiate themselves from dirtier competitors while improving resource efficiencies and reducing costly waste. An improved environmental image can also help firms gain credibility by socially responsible investors and help firms attract capital. What are some of the greatest challenges that firms encounter when they try to improve their environmental performance? With the expansion of socially responsible investing and green consumption, green advertising has increased almost tenfold in the last 20 years and nearly tripled since 2006. As of 2009, more than 75 percent of S&P 500 companies had website sections dedicated to disclosing their environmental and social policies and performance. But instances of greenwashing have skyrocketed in recent years, misleading consumers about companies' actual environmental performances. Greenwashing can have profound negative effects on consumer and investor confidence in green products and environmentally responsible firms, making these stakeholders reluctant to reward companies for environmentally friendly performance. Consequently, improving environmental performance requires more than just improving communication. It is about undertaking substantive organizational changes and investments that might be costly initially. As you look ahead to the future, how will these efforts to improve corporate social and environmental responsibility evolve? What should companies be looking for on the horizon? Transparency is key and well established within the financial reporting scheme. Some scholars have argued that the openness about the way firms operate in the United States makes American industry more efficient and competitive. If this is correct for environmental performance as well, then once reporting and measuring environmental performance becomes more common, some standardization and rules for transparency will be needed. However, this will only be feasible if information about corporate environmental performance becomes as publicly available as financial information is now. We already see some of this coming in Europe; for example, the UK mandates environment, social and governance reporting. In France, there is a mandatory triple bottom line reporting. The European Commission is currently considering putting forward a legislative proposal requiring companies to publish information on their management of environmental and social issues. 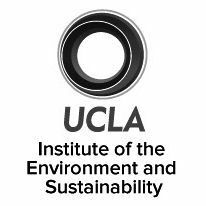 Our mission: research, education, public engagement on environment and sustainability in Los Angeles, California, and the world.